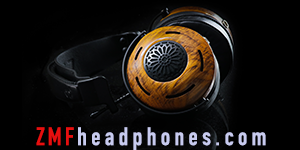 Flagship headphones contain some of most exciting sounds to be had within the personal audio hobby. And of those headphones, none have burst on the scene with more ferocity than the LCD lineup from Audeze (also spelled Audez’e). Starting with the LCD-2 ($1k) and then the LCD-3 ($2k) these headphones utilize planar magnetic technology to drive sound as opposed to your typical “dynamic” driver. 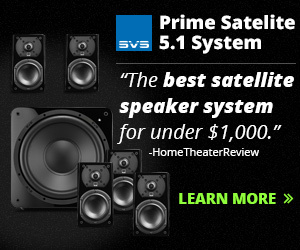 This system (and LCD line specifically) offers a unique set of advantages over many other top-shelf offerings currently available. 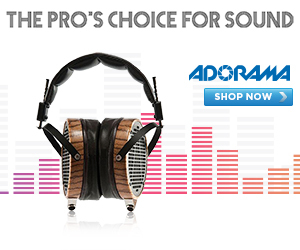 The LCD-3’s build is just as premium as the pricetag implies. I can’t recall ever coming into contact with ear pads that felt so soft to the touch. These lambskin leather pads seemed to offer just the right amount of isolation and seal (which is essential for good bass) while still maintaining a very comfortable fit around the ears. Their sloped design tilts the drivers to the incline of your ears in a manner that is undetectable when worn. The clamping pressure is moderate, but perhaps due to the cleverly designed pads or just the relative size of the enclosure, it feels much less than that. The overall size of the earcups is larger than most. Completely circular in design, the driver housings are trimmed with a zebra-flavored wood edging and a matte black grill. I enjoy the ascetics of the LCD-3; everything feels very solid to the touch. All connections, joints, clicks, and swivels are firm and intentional in a way that lets you know that Audeze is not fooling around here. The pair I reviewed included detachable cables for both single-ended and balanced (4 pin stereo XLR) connections, which I found very convenient when you consider the going price points of many aftermarket cables. The included cables were sturdy with hearty connectors at each end. If there was one area for improvement for the LCD-3s I would say that the overall weight was a bit heavier than I am accustomed to. While the clamping pressure was moderate, the weight from the headband pushing down was not insignificant. Extended listening sessions required me to hold my head somewhat vertical, as tipping my head too far forward would result in the headphones slipping off my head. I had no issues listening to movies or music leaning back in a comfortable chair however. I would recommend these headphones for audiophile listening at home as they do leak moderate amounts of sound and are not at mobile as some of the other top tier headphones. But for what these beautiful babies lack in portability, they more than make up for in sound. One of the truly great things an audiophile headphone can do is create the illusion that the music is closer to you. Top tier sound will often appear more intimate and realistic, like being in the front row of a concert, instead of the nosebleeds. The real trick for headphones is sustaining this illusion while still delivering music that feels “outside” of your head. This is one of the areas where speakers often have the upper hand. They are located far enough away from your ears where this effect not an issue. The LCD-3 is one of the few headphones that is starting to edge its way closer to that grand illusion of intimacy coupled with an out-of-head experience. 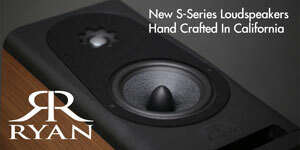 I’m not saying that listening to an LCD-3 is just like listening to a pair of $20k speakers, its not. But it is a step closer, and that is very big Buzz-Aldrin-type-step to take. One of the biggest contributions to this effect is the way the LCD3’s present bass. Low, deep, and fully balanced with the rest of the spectrum. It seems to flow much more naturally out of the headphones than almost any pair of headphones I have ever heard. It is full and robust. The bass (and all frequencies, for that matter) makes you feel like you are missing nothing from the music. Smooth, rich mids? Check. Clear extended treble? Check. As with all things audiophile, the devil is always in the details and the LCD-3 has resolution in spades. 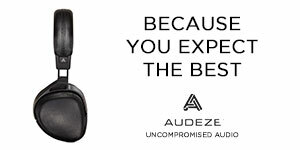 More so than any other headphone, Audeze has given me cause to purge my musical collection of anything less than CD quality bitrates. Hiding subtly within the ranks of greater resolutions, I began to spot impurities within my library that were previously hidden from view. So if you are a frequenter of iTunes, you may be disappointed with some of the results of your purchases. Hopefully as hard drive sizes increase and download speeds accelerate, Apple will jump on the HD bandwagon… hopefully. Throughout my pursuit for audio perfection, I have noticed that occasionally many very excellent-sounding, exciting headphones will also be accompanied by a touch of listening fatigue over extended sessions. I have, no doubt, shied away from a few purchases for this very reason. After all, what good is a headphone if you cannot rock out for hours on end on a lazy Sunday afternoon? 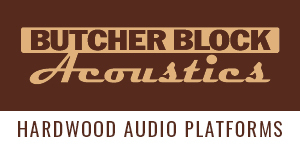 I will admit, this is one of those audiophile terms that is quite hard to quantify. While I may just suffer from overly sensitive ears, I did notice that the LCD-3 headphone has some of the lowest listening fatigue I have ever experienced from a flagship headphone. I suffered no fatigue whatsoever from our musical journey together, regardless of time spent. Historically, some of the planer magnetic headphones (like the HiFiMan HE-6) have been difficult to drive properly. While the Audeze LCD-3 is more at home behind a dedicated headphone amplifier than directly driven from an iPhone, I didn’t find them nearly as hard to drive as I have been led to expect. 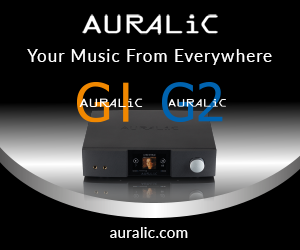 A headphone amplifier with average or above output capabilities similar to the CEntrance DACmini or the ALO Rx Mk3 should be able to handle the LCD-3 with headroom to spare. I found the DACmini to be comfortable around the 1 o’clock position. 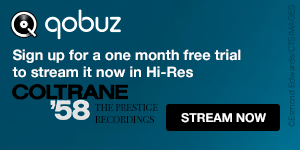 Technically speaking, every headphone panel I’ve attended and numerous online sources suggest that the LCD product line measures extremely well, and the guys at Audeze are taking full advantage. They currently include a printout of the frequency response curve “measured with a Neumann KU 100” for each pair of LCD-3 headphones they send out. 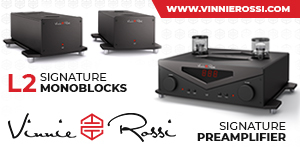 I have been lucky enough to audition many top-tier headphone systems including the Stax SR-009 ($5200) and the discontinued Sennheiser electrostatic HE-90 Orpheus, but I did not have either of them on hand to make direct comparisons for this review. From my experience with both of them I do recall that bass presentation was not the first thing “struck me” about their sound. I also don’t recall the bass leaving me with a lasting impression. This may be the area where the LCD-3 showcases it greatest achievements, beautiful natural-sounding bass that has no equal. Audeze has had great showing of high-end headphones in a short time period, I cannot wait to see what they drum up next. 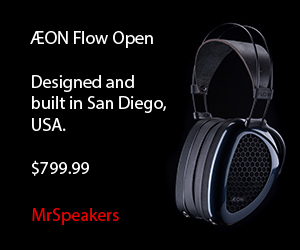 Alex and his team put their heart and soul into these headphones.